On April 18, in response to a formal request by the Capriles campaign, Tibisay Lucena, President of the Venezuelan National Council (CNE), announced that the CNE will expand its audit by 46 percent, having already audited 54 percent of the ballot boxes on the day of the presidential election. The audit (which consists of random samples) is expected to take about 30 days. COHA will provide updates on the auditing process. President-elect Nicolás Maduro of the United Socialist Party of Venezuela (PSUV) won Sunday’s presidential election by a narrow 1.6 percent margin. The story of last Sunday’s election, however, is not over. The opposition candidate, Henrique Capriles Radonski of the United Democratic Roundtable (MUD), refuses to accept the National Electoral Council’s (CNE) finding that Maduro won the election, insists that there were significant irregularities in the process, and is calling for a full recount of the votes. 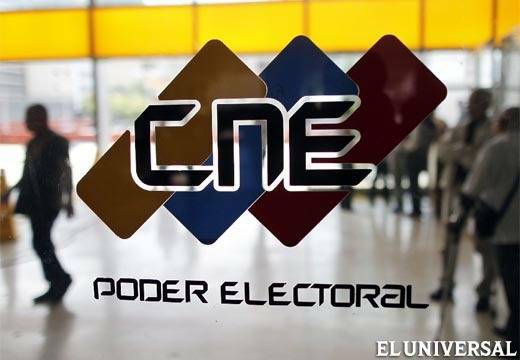 Proponents of the government position argue that the CNE is the ultimate authority in electoral matters and that it has a solid track record in competently running elections in Venezuela. Moreover, the elections were witnessed by more than 170 international observers as well as thousands of national poll watchers. The CNE also conducted a 54 percent audit of the ballots without finding any irregularities. Most nations in the hemisphere respect the Venezuelan institution charged with deciding the outcome of elections and have recognized the Maduro victory. 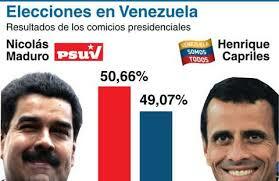 The United States, however, has so far withheld recognition of Maduro as the victor. Capriles’s sanctioning of what now appears to be an increasingly ferocious campaign to contest the outcome of the election may have ignited the more extreme elements of the opposition who have set fire to 18 central diagnostic centers, three subsidized food markets (Mercals), and attacked the home of the director of the CNE. A number of buildings that house PSUV offices have also been targeted. At this writing, eight Maduro supporters have been murdered and 61 persons have reportedly been wounded. The targeting of social missions by extremist opposition forces is inconsistent with Capriles’s earlier expression of his personal backing for such programs during the presidential campaign, and Capriles has expressly distanced himself from these crimes. In these moments of intense political polarization, it is important not to generalize from the actions of a handful of extremists but to seek out spaces for dialog and reconciliation, something that in the midst of the current crisis may at first seem impossible. In the face of such violence and other potential threats to the stability of the country, the government has shown remarkable restraint and even placed the police under the command of the army in order to contain explosive forces. Capriles, though still adamant regarding his desire to contest the election, has called off a possibly inflammatory march on the CNE headquarters in Caracas. The situation, however, remains fluid. The United States, which historically has supported the political opposition to the Chavistas, plays an important role in the current crisis. Washington’s refusal to recognize the Maduro win adds fuel to the opposition fire inside Venezuela. To many Latin Americanists, the White House seems to be prepared to cater to the rightist predilections of some hard line members of the U.S. Congress, rather than hammer out a coherent post-Cold War policy for the Americas. It is time to change course. Rapprochement with Cuba, the suspension of aid to Honduran security forces involved in human rights abuses, ending the use of counter-narcotics resources for political repression, and recognition of Maduro’s electoral win would all be part of a far more forward looking and mutually respectful U.S. hemispheric policy on which to embark. Secretary of State John Kerry, who was one of the few moderates on Latin America policy during his many years in the Senate, has now joined those who are willing to play the ideological card in dealing with Venezuelan democracy. By hedging on whether the United States will recognize Maduro’s win, one of his first acts towards Latin America has sent the wrong message to most of the hemisphere’s nations, who clamorously back Maduro’s victory at the polls. Washington now supports the continuation of a double standard when it comes to dealing with left-leaning as opposed to right wing electoral victories. Washington did not hesitate to ring in the election of Porfirio Lobo in Honduras in November 2009, which was arranged by a golpista regime just five months after the democratically elected government was ousted. The U.S. posture stands in sharp contrast to the steady flow of congratulatory communiqués from nearly all of the nations in the hemisphere. The Secretary General of the OAS, Jose Miguel Insulza, who at first seemed to voice support for opposition calls for a full recount, on Wednesday clearly recognized Maduro’s victory while calling for a dialogue between all parties. By taking this prudent course, Insulza exercised political courage and promoted the cohesiveness of the Inter-American body. Mercosur (the Southern Common Market) and Unasur (Union of South American Nations) also have recognized the election results. While one cannot underestimate the extreme right’s determination, both within and outside of Venezuela, to undermine the Bolivarian Revolution, one is unlikely to see a repeat of the short-lived coup staged in 2002 that was almost able to overthrow the democratically-elected government of Hugo Chávez. Both the Venezuelan security forces and the Chavista base are on alert to face down such a development. Given the great outpouring of international solidarity and the determination of the government to defend its electoral process, Maduro is almost certain to complete a six-year term as President. The narrow margin of victory, however, as a number of commentators have pointed out, serves as a wake-up call. Having seen the Chavista margin of victory erode by 10 points between the October 7, 2012 and the April 14, 2013 presidential elections, the Maduro administration has been put on notice by the electorate that it must effectively and expeditiously address issues of crime and corruption and implement constructive policies that continue to improve living standards, while containing inflation, if the Bolivarian revolution is to have yet another chance at governance in 2019. Larry Birns is the Director of the Washington-based Council on Hemispheric Affairs, and Frederick B. Mills is a Senior Research Fellow at the Council on Hemispheric Affairs. COHA Research Associate Kimberly Bullard deserves thanks for her editing and research assistance.